Vserv’s new WP8 SDK offers offers a great opportunity to monetize your apps or games with only a small amount of additional effort. The Vserv.mobi WP8 SDK is designed to help you integrate Vserv Ads in your application and fast track your way to monetizing your WP8 applications. If you already have a developer account at verv then skip to next step otherwise visit the following link to create a new account. Note down your ZoneID. This will be required later on when you use the WP8 SDK to request Ads. The default ZoneID will be available in your welcome email or you could visit https://admin.vserv.mobi/admin/affiliate-zones.php to get a list of all your zones. We suggest that you unzip the SDK Zip file that you just downloaded into a temporary folder. You would find two folders in it, WP8V2SDK and SampleApp. Alternatively the SDK can also be downloaded as NuGet package using the following command in the Nuget package manager (Refer to this article if you get struck in adding a reference). Using vserv SDK you can either have banner ads or full page interstitial ads in your application. Before you request for Ads you need to make sure you initialize the VservAdControl. Ideally you should initialize this when defining it in your project before the calling constructor. To request an interstitial you need to call the displayAd() method. 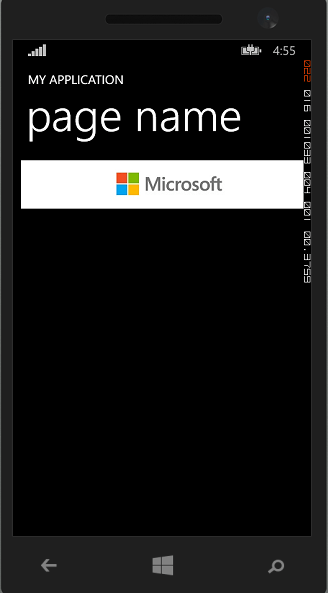 displayAd() is a part of the VservAdControl (vservWindowsPhone library) which need to be initialized before requesting for an Ad. Optionally you can also set a timeout using the SetRequestTimeOut (timeout) method. Make sure you pass LayoutRoot, else the full-screen ad will be displayed in the small banner. You can request for Banner Ads which auto refresh automatically in a specific View using RenderAd() method. Sometimes vserv fails to deliver an ad. You would need to remove or hide the Banner Control when working with Banner Ads and other ad networks in its place. At times when you request for an ad, there might not be any network available during the request, in which case the Vserv SDK calls the following method.